There were an astounding 1901 chickpeas in the jar! Congratulations to Claire of Claire’s Cake Bake who guessed 1881. Thank you very much Wendy. I’m very much looking forward to reading through it. And of course, will blog about the results! You must. Who would have imagined? Personally, I blame Joel. (Not really). Congrats to Claire well done !! Goodness! 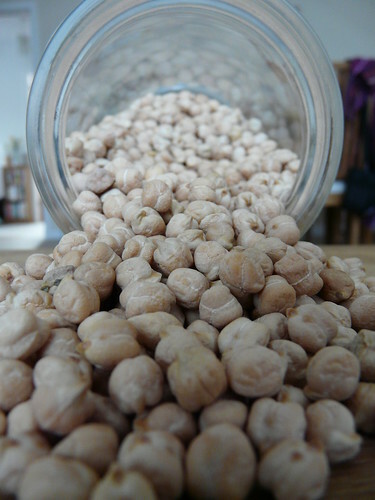 That really is an astounding number of chickpeas… You must have huge patience to count all of those out…! Wow, who would have imagined there were that many. Very fun. I love your blog! Lovely photos~! I CANNOT believe you sat there and counted each of those. It must have taken forever! What a great competition–I look forward to more of them. Lucy – A few folk did the mathematic thing and were wildly off. No idea how to explain that one. Antonia – D helped so it wasn’t too bad. Kalyn – I know. I was amazed. Silvia Magnolia – It was difficult. I guessed 900. Christina – D helped so it didn’t take too long. Felt a bit silly doing it though. Congrats Claire and thanks Wendy for the Competition. Very good Claire! You have a good eye!